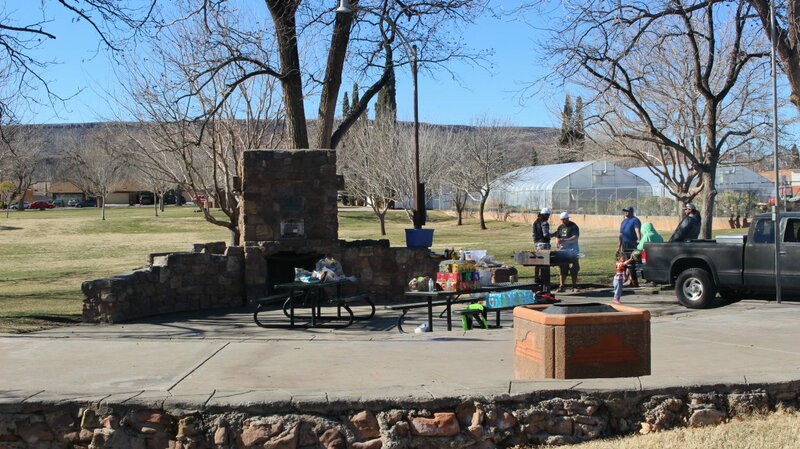 ST. GEORGE – One of the most-used and oldest parks in St. George may be getting a facelift down the road once funding becomes available. 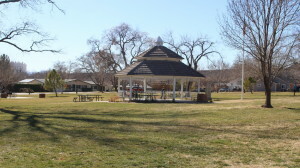 A part of the central downtown area of St. George, Vernon Worthen Park has played host to a myriad of events since the 1940s. 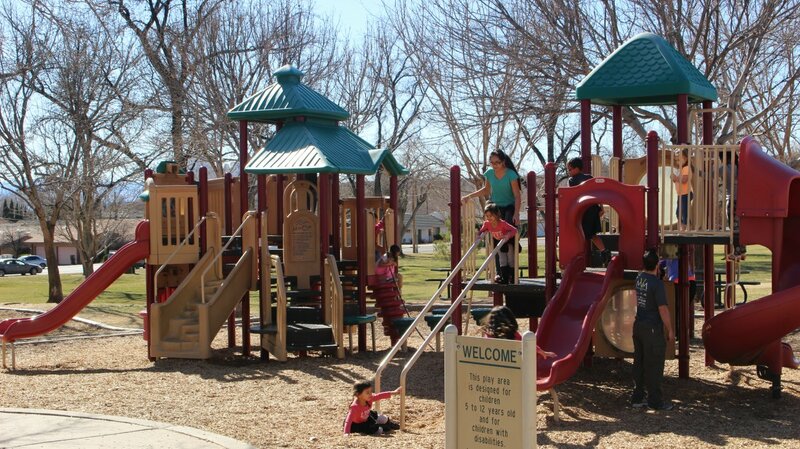 Due to age and extensive use, city officials want to upgrade and modernize the park in order to better accommodate safety and accessibility issues. They also want to provide downtown residents with the same amenities that are offered to neighborhoods with newer parks. “It is one of the most popular and busiest spaces and most programmed places in town,” said Jeff Peay, parks planning manager for the city. The only other park that is used as much is the Town Square, he said. Peay presented a conceptual master plan to the St. George City Council during a Feb. 28 work meeting that addressed various needs and issues surrounding the aging facility. 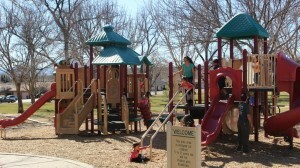 The plan came into being after members of the City Council asked about moving the playground away from the road. While looking at the possibility, city staff also took the opportunity to address other issues, such as parking. 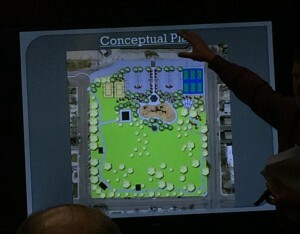 The master plan, which will be implemented in phases, moves the playground equipment to the center of the park near the restrooms. The gazebo will also be moved, relocated north of the playground’s new position. To the east of the playground, below upgraded pickleball courts, an amphitheater is proposed that will be accompanied by a shade structure. West of the pickleball courts, where the city currently has a gated area for two greenhouses and equipment storage, a parking lot is proposed accessible from 200 South. “One of the things we really wanted to do is create a front door for the park,” Peay said, noting the proposed plan helps achieve that purpose. It also gets some of the parking off of 400 East, which pleased council members with safety concerns related to parking along the busy road. The proposed parking lot could also be used as a staging location for events like the St. George Lions Club’s annual Dixie Roundup rodeo, Peay said, as it is positioned across from of the Dixie Sunbowl’s southern entrances. Another element Peay showed on the proposed plan was a trail wrapping around the park with paths leading to the restroom and other parts of the park. The trail will help tie things together, Peay said, as well as supply easier access to elements of the park for individuals who use wheelchairs or have other mobility issues. It will also provide better access for maintenance vehicles. Right now elements of the park are spread out, he said, and offer little uniformity. The Pearl Harbor Memorial currently installed by the park’s gazebo would be relocated to a point along the trail system as well. 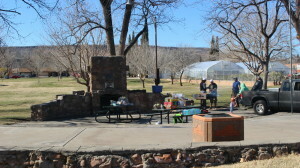 And the fireplace-chimney structure currently set north of the playground would be removed. “It’s a great concept,” St. George Mayor Jon Pike said. 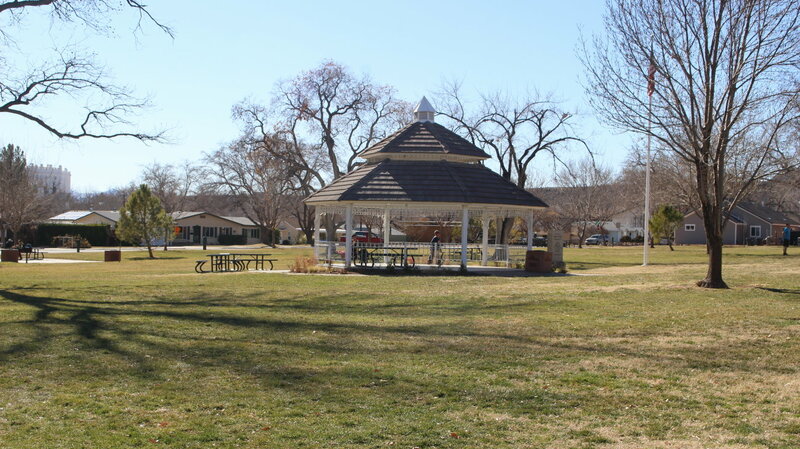 A facelift for the old park would help with continuing efforts to rejuvenate neighborhoods in downtown St. George, City Manager Gary Esplin said. Having a revamped and modernized park will also be nice to have along with the new Legacy Elementary School the Washington County School District is building next to the Dixie Sunbowl. “The new school needs that new park,” Councilwoman Bette Arial said. The City Council expressed its favor for the proposed master plan, yet Esplin noted there currently is no available funding for the project that would run an estimated $2 million. The mayor said the money for the park project could come from a possible sale of city property. Once funding is secured, Pike said, the project will likely become a priority for the city, echoing the words he said during last month’s meeting. “I think it ought to be a priority,” the mayor said.